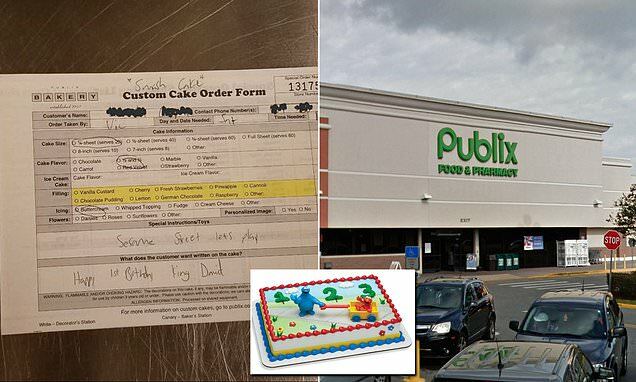 A Florida woman grieving her baby who was stillborn last year decided to pay for a one-year-old boy's birthday cake as a way to honor his memory. The heart-wrenching gesture was posted to Facebook by bakery counter clerk, Nick DeClemente, who works at a Publix in Jacksonville. DeClemente was confused and asked if there was a particular order she was looking to pay for. 'She said, ''No, I want to pay for one anonymously,'' DeClemente wrote in the October 10 Facebook post, which has received hundreds of likes. He says the woman then broke down in tears and told him she had given birth to a stillborn son a-year-ago and thought paying anonymously for another one-year-old's birthday cake would be a nice way to honor him. 'I was a little lost for words just because of how in awe I was of the moment,' DeClemente told Fox News.